Feelin’ lucky? Well you’d be feeling right, because the best thing since sliced potato is coming to Brisbane, and it is going to absolutely shamrock your world. Brace your festival boots because Brisbane’s first ever PaddyFest is rolling up in a very large wagon. 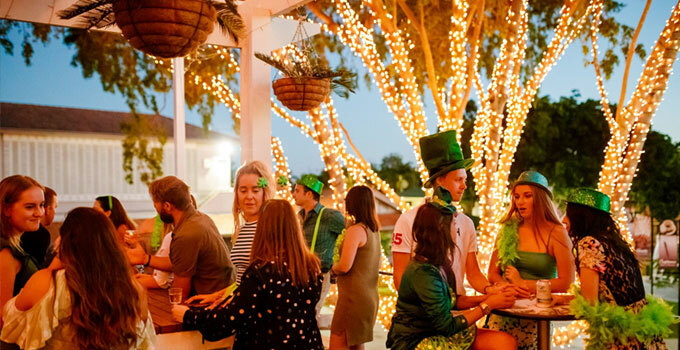 Set to be the biggest St Patrick’s Day party in town, or the Oktoberfest of all things Irish if you would, PaddyFest is bringing an authentic Irish celebration to our very own doorstep. Come March 17, you’ll be able to get a very real taste of Ireland, especially if you win the major prize of two return flights straight to the motherland (wot). Yeah, and winning them is as simple as 1, 2, step. All you have to do is pre-book your general admission tickets and you’ll automatically go into the draw, which will be drawn at midday at the festival. Let’s say you don’t win those tix though, will you still have a good time? By the luck of the Irish you will! You can expect a day of good beer and great craic, with everything from a stand up act by v famous national treasure, Jimeoin, live Irish bands all day and of course, Irish dancers. Yes, yes, we’re getting to the food and booze. 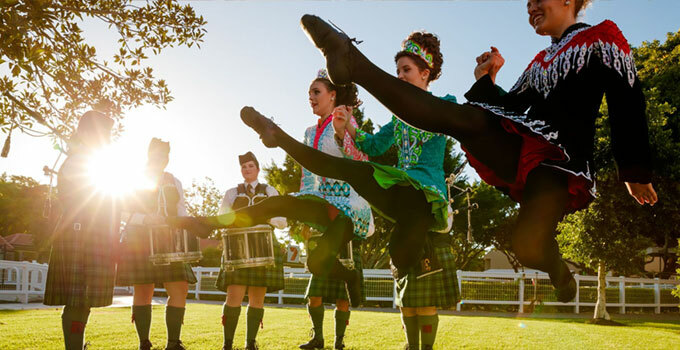 The grass will be greener on the festival grounds with tonnes of food trucks, featuring authentic Irish eats from Diddly Dee Food Truck! VIP ticket holders will also get to wrap their hands around the Leprechaun Punch Bowl, with fairy floss, sprinkles, glitter and all things magical. There will obviously be plenty of booze and Guinness, and the likes of shamrock juice – think refreshing green cocktail with leprechaun dust. Because you’re the pot of gold at the end of our rainbow, we’re going to let you bring a friend for free with your ticket purchase. If you’re all for Dublin up, simply use the promo code FRIEND at checkout to receive this lucky deal. For a pitcher perfect day, you’ve gotta hit up PaddyFest. Simple. Words by Nicole Portacha – the gourmand who’s green with envy at people going to this event.